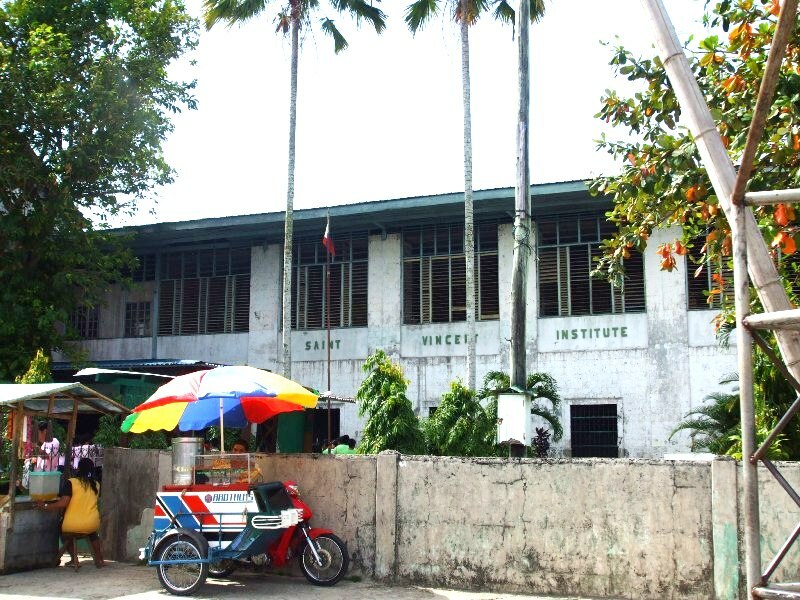 The town began as a Jesuit mission in the 18th century. 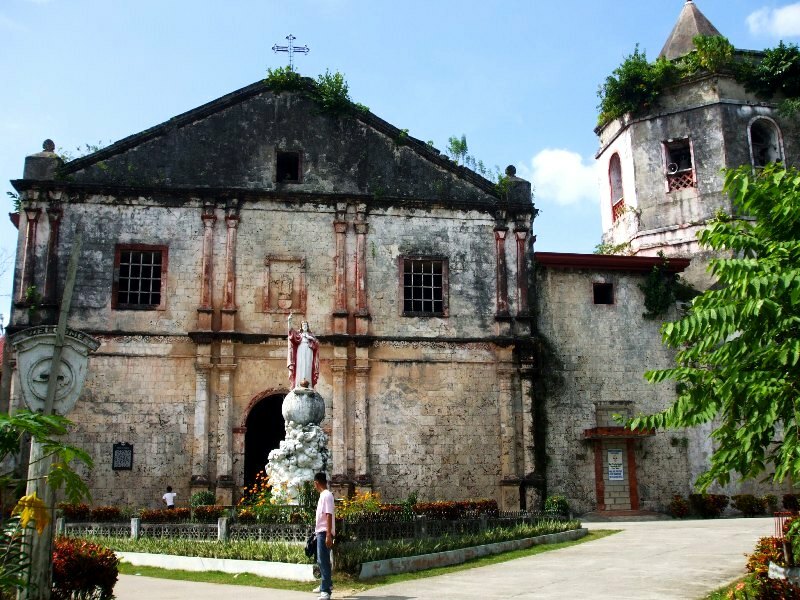 The parish of Maribojoc, Bohol was founded in 1767 by the Jesuit Priests as a mission and as a parish dedicated to Santa Cruz. The church that the Jesuits build was only temporary and was replaced by the Recollects (1768) with the present structure. The structure was started in the year 1852 under the supervision of Fr. Manuel Plaza, O.A.R. and was finished on the year 1872 under Fr. Fernando Rubio Lucas Martinez, O.A. R. It was made from stones and corals. The construction lasted for 20 years. 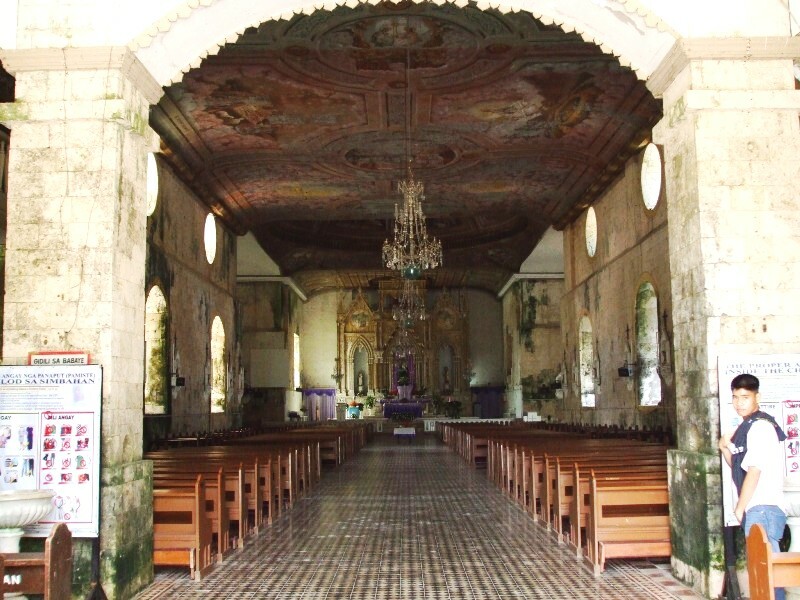 Heritage Features: Unlike other churches, the convento of Maribojoc is located behind the church rather than at its side. This gives the convento an unobstructed view of the sea, especially from the balcony that runs the length of the convento. The convento is approached through the sacristy and is a continuation of it. Above the sacristy is a room which has been converted to the Maribojoc museum. 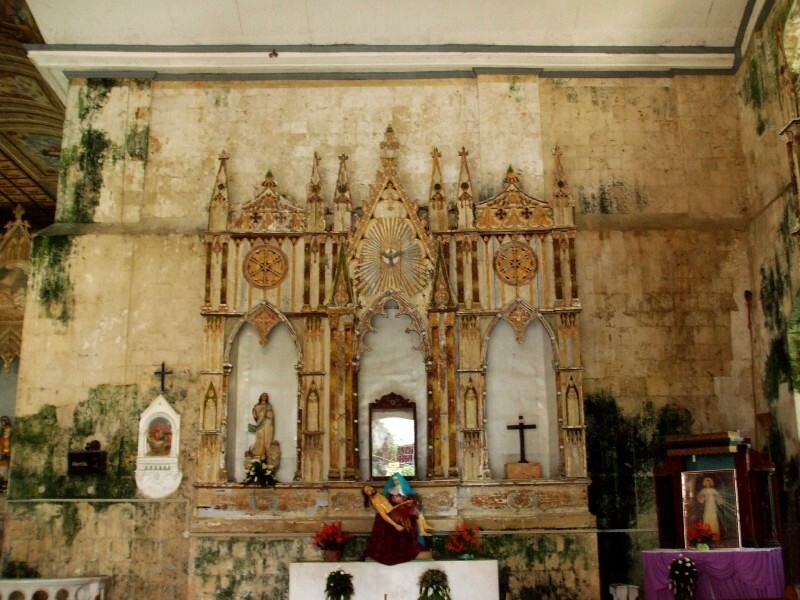 The construction of the convento was said to be started in the year 1877 and was finished in the year 1898. The exterior was not impressive but the inside was a pleasant surprise. The ceiling was all carved wood painted in gold and other colors. The church is planned as cruciform. Its facade is plain, decorated by thin pilasters and niches with images of saints. The interior comes as a surprise because of the three Neogothic altars in the church. The traceries and finials of gilded hardwood are delicately carved. The main altar has an image of the Blessed Trinity and bas relieves of the life of Mary Magdalene. 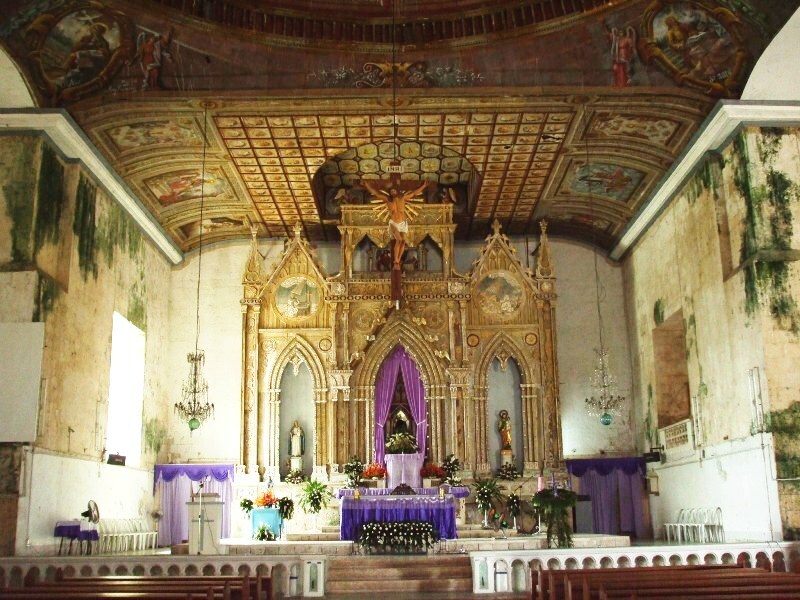 The church ceiling is made of metal and painted with catechetical and liturgical motifs. These paintings were made by Ray Francia by the year 1930. 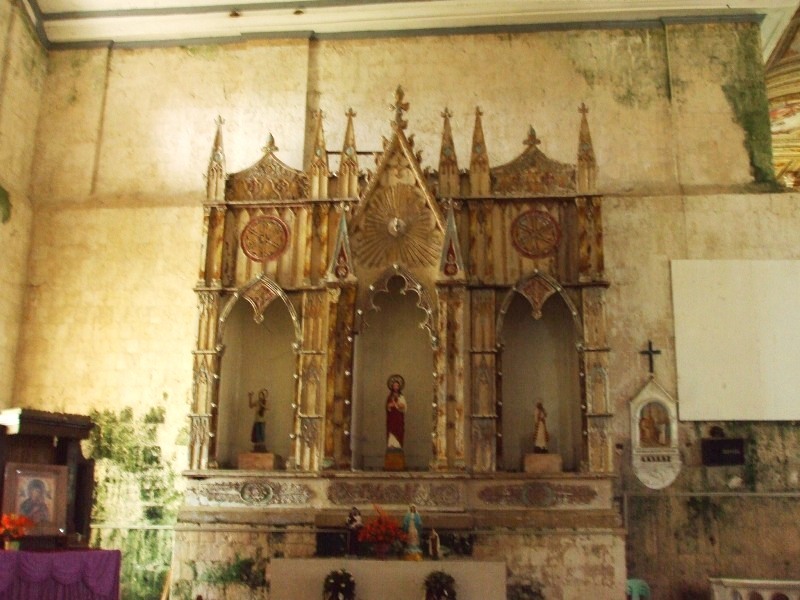 The church structure survived when the town was burned during the World War II (1942-1945). 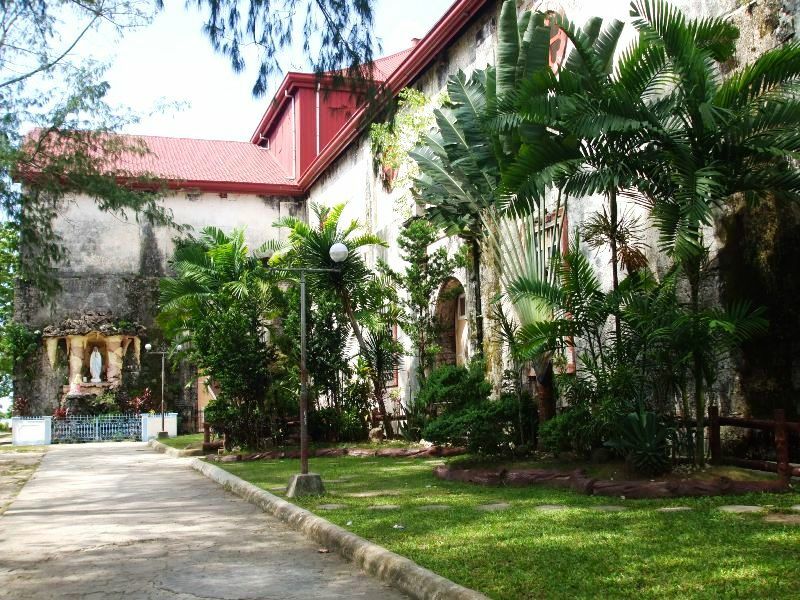 On the year 2005, the church was made into a diocesan shrine of St. Vincent Ferrer.